The nation has a love for Pinterest and I am included! So today I thought I would do what I am calling, “Pinterest Pickins.” Today my fascination board from Pinterest is Mason jars. 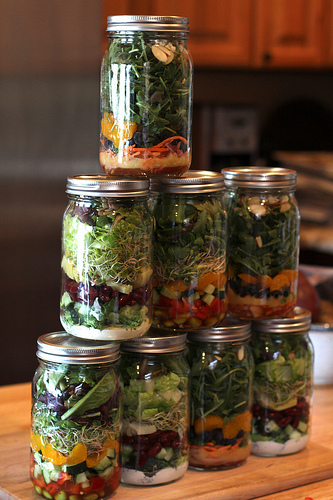 Mason jars were made for canning, which is a method of preserving food in an airtight container also known as a canning jar. The canning process provides a shelf life for the food stored inside to stay fresh one to five years. I personally have never canned anything though my mother-n-law cans some amazing bread and butter pickles like you have never tasted before! 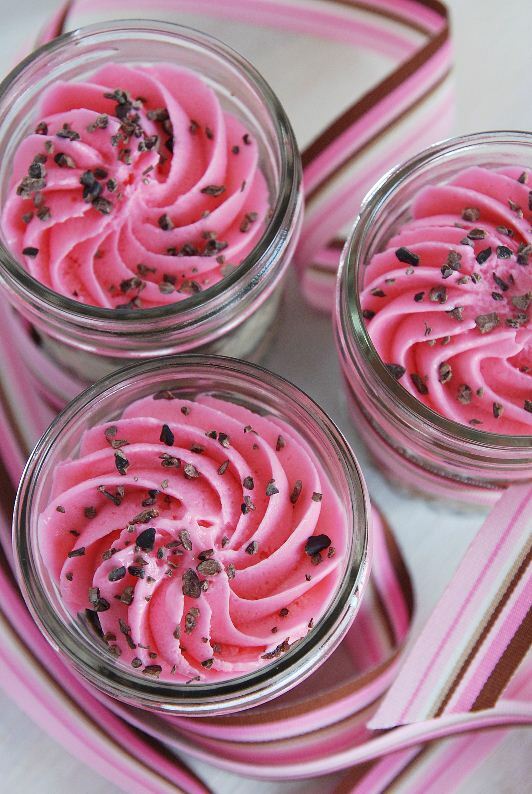 How about baking in mason jars like The Novice Chef did with these goodies! What about this clever beauty from Marty’s Musings! Now talk about a bright idea! 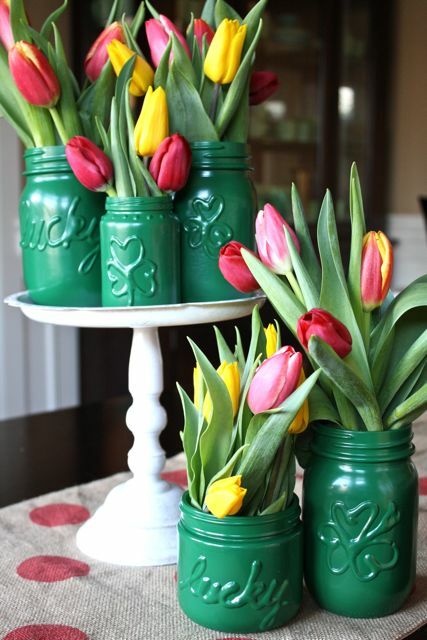 Or change them up and add some beautiful flowers and decorate the jars with paint and glue as Yesterday on Tuesday did! 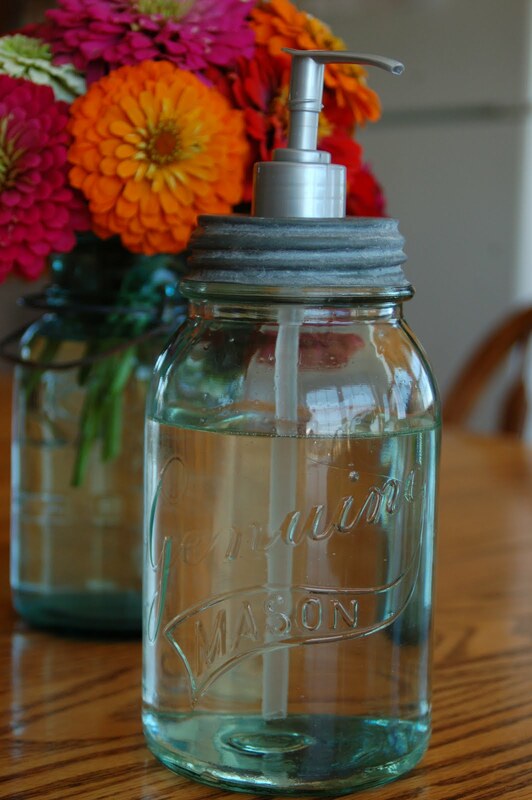 How about this practical use as a soap dispenser from Blissfully Content. I am in love! And why not go green (literally) with this yummy idea! Salad in a jar from My Life In Food! You can see some others fun uses for mason jars on my board on Pinterest too! Have you found a clever use for them as well? Let me know, I’d love to hear about it! 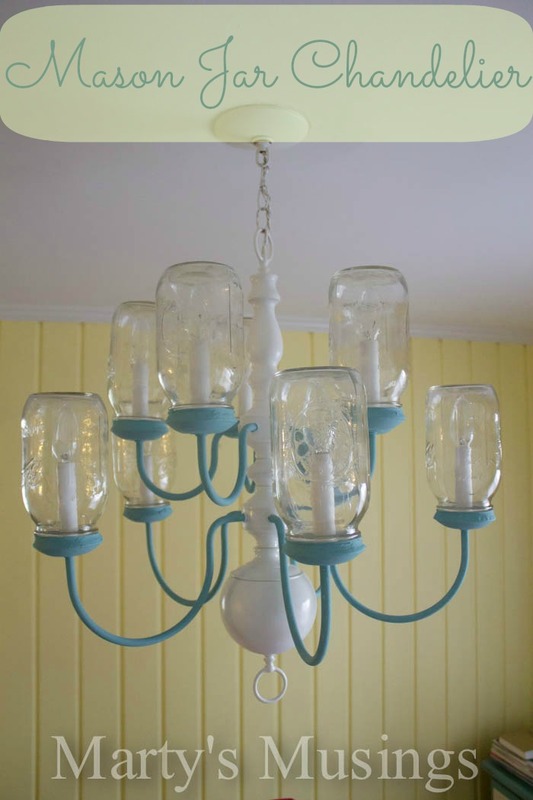 Thanks so much for featuring our Mason Jar Chandelier project! I love your Sunday night tradition although it makes me sad. Sunday lunch used to be our big meal of the week and we would come home from church to the house filled with delicious smells. My son is away at college now and works on Saturday and leads worship on Sun. night so we rarely see him. My daughter is married and her husband is a worship pastor so we don’t see them as often either. I have 2 kids still at home and our Sundays are different but we still eat every dinner together. Our lives change and that’s good but I do miss those Sunday lunches! Marty, I loved your project and just had to show it off! Thanks for the Sunday comments, I know ministry is work, myself and all my family are in ministry from Pastors to worship leaders too! Keep after it, that’s what I did. We could not get Sunday lunch in so we elected on Sunday Dinner and everyone knows it’s a given. Honestly they found me at first but now they look forward to it. It’s a great time to just be us! I’m looking forward to seeing more of what you are up to!